Headwear isn’t usually at the top of my list for gentlemen’s attire, nor, indeed, for writing frivolous nonsense about. Some people like hats and look good in them; others don’t. I tend to the encampment of the bare-headed, almost irrevocably penciling me in this latter category despite the air of sang-froid and superiority that a well-made fedora confers on the wearer. 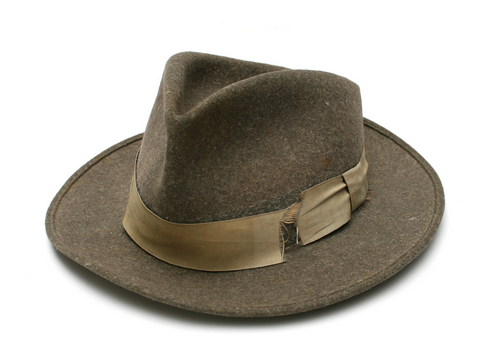 I happen to have one or two and when the west wind blows, I actually wear one, either the Stetson Panama – quite the military favourite, or the German hunting hat in which I can hide in the undergrowth when hunting boar. Right. I was once sold a hat, or rather a cap, by a persuasive and very gay salesman in Greenwich Village and had my photograph taken wearing it while reading a copy of Village Voice, labouring under the delusion that it made me look like John Lennon. In reality, I looked like a superannuated costermonger. People with heads shaped like oversized coconuts or the northernmost tip of Pluto like mine really ought to give them a miss. I knew a vicar once, very Old School, who, whenever a lady was halfway across the pelican crossing, used to stop his car, get out and doff his hat in cavalierly Restoration fashion, while seeing her safely across the road. He was, it appeared, oblivious to the imprecations, waved fists and furious honking. After his protégé had been safely delivered kerbside, he would further doff his hat to the queuing vehicles whose drivers were foaming with rage. Had he not been wearing a clerical collar, he’d’ve been assaulted. 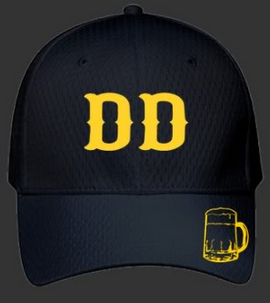 And now to the teacher’s Nemesis, the baseball cap. They reproduce, I am certain, in foetid urban alleyways and appear for sale newly minted on a million street stalls worldwide, proclaiming street-smart slogans only known to rappers, children and those of diminished mental capacity. For some, the little tag at the back cannot be appropriately tightened which makes the wearer look as if he has had his head flattened by a paving stone. Still others grip the short-haired wearer’s head as if glued in place, its brim jutting aggressively forward like a curved Arabic blade. The clear message is: “Mess with me. Go on. I dare you”. Another gentleman of my acquaintance, also a clergyman – how come I seem to know so many – has so far resisted the temptation to wear his leather Harley Davidson baseball cap with his clerical collar. How very disappointing. I wonder where he parks his bike?